The Dragon pro shinpads have been designed to provide increased protection and comfort during gameplay. The high grade stiffened PVC provides maximum impact protection, whilst the custom made double density foam lining will absorb and displace energy throughout the shinpad. 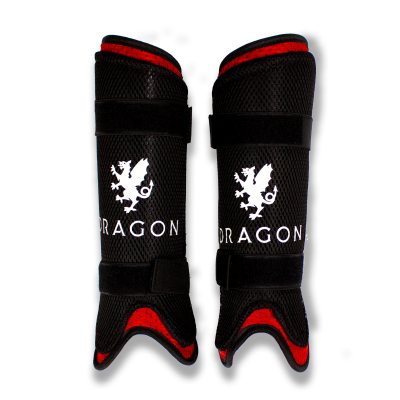 This combination of protection and energy absorption ensures maximum resistance against ball impacts.